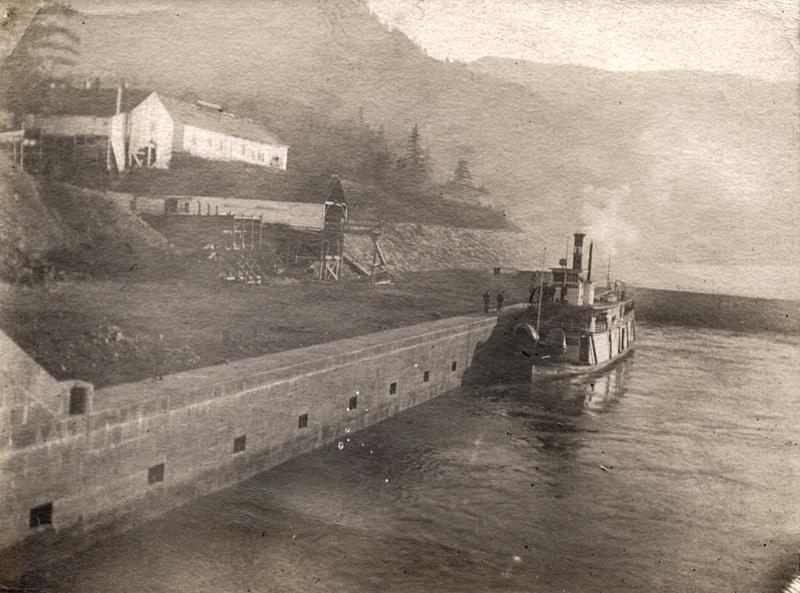 This seems to be a relatively early picture of a ship passing through the Cascade Locks. I don't recognize the ship, but it's relatively small and the covered wagons on the bow hint at a pre-automobile age. There is another photo in here somewhere with covered wagons on a boat, but, I think that boat was smaller than this one. Yes, L.E., that was the steamer Dalles City in #1084. I think this ship is smaller than the Dalles City, but it's hard to tell from this angle. Thanks for that link, Melody. Just for grins I checked to see if he met Carleton Watkins in December 1883, when he photographed the locks (see #689). Diary entry: "Watched photographer take pictures of steamer." He also mentions Watkins coming to the office looking for information the previous day. ^ Haaa ha ha that's great!